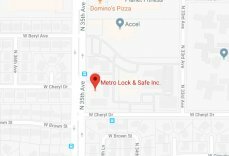 Commercial Locksmith Services | Metro Lock & Safe Inc.
Posted on June 15th, 2014 by Metro Lock & Safe Inc.
Getting locked out of your place of business can be detrimental in the long run. After all, you cannot go about a normal business day if you cannot get into the place where you work. Potential customers will look elsewhere for the services you provide and may not return after one unfortunate experience. If you find yourself locked out of your business place, contact a trusted commercial locksmith to help you get back into the building. Once a good commercial locksmith has gotten you back inside, you will be free to go back to work. A commercial locksmith offers all sorts of services that you can utilize. The most basic service available from a trusted commercial locksmith is the lockout. 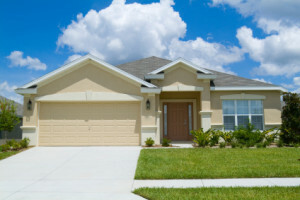 Lockouts occur when keys are lost, stolen, or even just forgotten at home for a day. If you are locked out of your business, you cannot go about your work day, so getting a commercial locksmith’s assistance is important. Have you misplaced a key to your lock? Or, if not, perhaps a key was stolen and you are afraid of break-ins down the line. If you have any of these concerns, a good commercial locksmith can re-key your lock and get you a new set of keys that you won’t have to worry about. With a new set of keys, you can feel more secure and don’t have to worry about potential burglaries happening while you are away. If you still have all of your keys and aren’t worried about anything key-related, you still may need the services of a commercial locksmith. Locks can be damaged in a variety of ways, from standard wear and tear to forced breakages as a result of burglars or thieves. If you have a damaged lock, a commercial locksmith will be able to make the necessary repairs so you can have a functioning lock once again. Sometimes you may hire a new employee simply need another key for some other reason. If this is the case, a commercial locksmith can get you a duplicate key that you can use on your lock. This is great because you then run less risk of losing your other key when you lend it out to your employees. Go with the safer method and get a duplicate key that you can share amongst your employees. It will make your entire business run more smoothly.